Kensel Tracy The Marketing Coach: Does Face to Face Networking Still Work in the Modern Era of Tweeting and Twittering? Does Face to Face Networking Still Work in the Modern Era of Tweeting and Twittering? A few weeks ago, this question was asked by a Canadian Business coach at a recent event I attended in Ottawa. I was going on about the value of business referral clubs and how they can help small and medium sized businesses to build business through one to one referrals. This coach suggested that the business club was dead and that in the modern era all one needed to do was reach out through any of the local online networks and he or she could have all the contacts they wanted. I posed that question to members of my Likened group a few weeks back only to get a barrage of answers that supported the question and a lot more that didn’t. Most of the respondents said that it was still important to have personal contact with customers or prospective customers in order to build that personal contact. Most felt that it was all right after the fact to contact people online but the initial contact should be in person. At that point, I started researching business clubs in Canada. I came upon the usual suspects. The Chambers, Rotary, Kinsmen and Kinettes, BNI, BoB Clubs, and quite a few smaller lesser known local breakfast clubs. There were a number of online networking clubs mostly of regional nature and a number of business clubs that were part of other organizations. I realized that business referral or networking clubs are still alive, are well, and thriving in Canada. There are also a large number of business networking websites, many which I have written about over the past year in this column, actually are growing and so are the lists of local meetings dedicated to the art of business and business networking. Based on my rough survey, I could say that in Canada the art of Face to Face networking is still a going and growing business. I can also say that in the era of tweets, Face book, Likened, Eecademy and number of other online sites, that both still have merit for promoting one’s business and making business contacts. As the century unfolds, online networking will get bigger and more active and offline face to face networking will still be needed to build the relationship. It’s a much closer world today and as the online world continues to get stronger, the world will become even a smaller place. So in my mind, tweeting, and tweets are only the beginning of a good solid networking relationship. Its still up to two human beings regardless of where they live to find something in common, reach out, communicate and then see what happens. 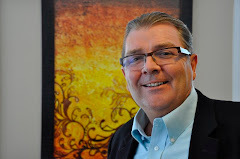 Kensel Tracy is the Marketing Coach with the Corporate Coachworkz Inc. in Chelsea, Quebec and is the Presidents of Business over Breakfast (BoB Clubs) of North America.